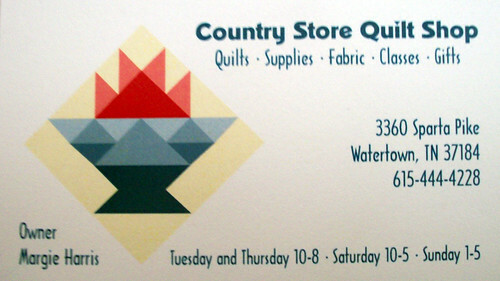 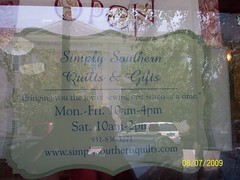 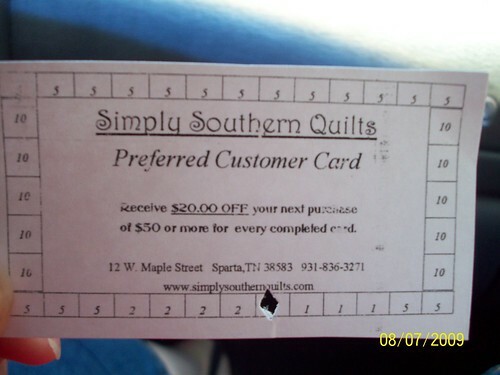 I had the opportunity to visit Simply Southern Quilts earlier this month. 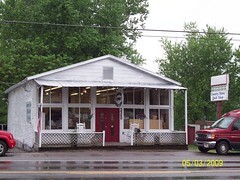 This charming shop is nestled behind the trees in downtown Sparta, Tennessee. 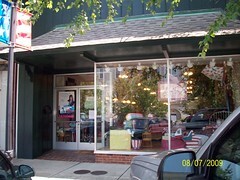 I admit it was a little difficult to find for someone new to the area, because of the way Sparta has their downtown area setup, and with all the trees on the sidewalks, but once you find the location, it’s well worth the visit. 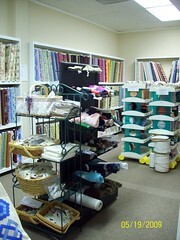 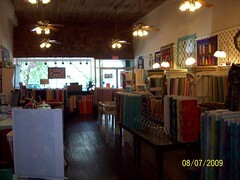 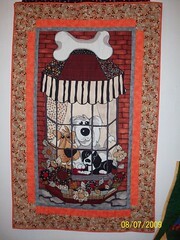 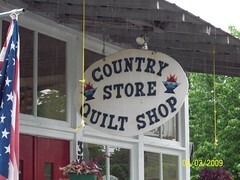 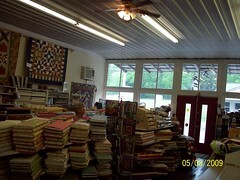 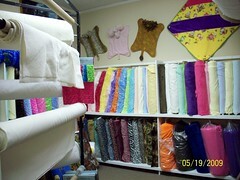 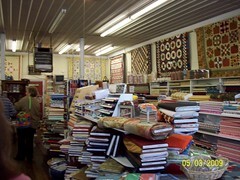 Inside you’ll find bolt after bolt of beautiful fabric and many completed quilts to spark ideas and inspiration. 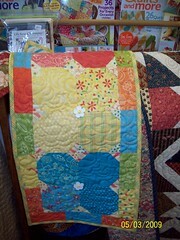 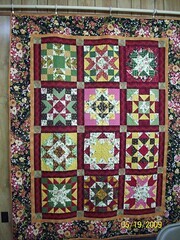 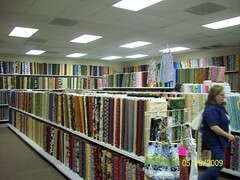 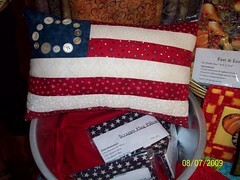 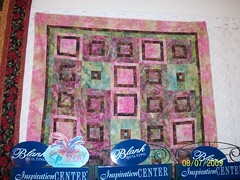 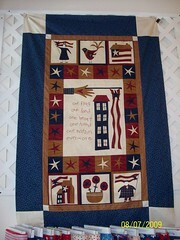 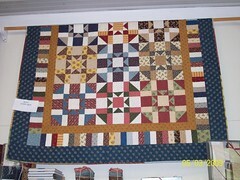 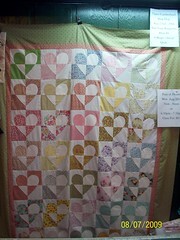 There is also a wide variety of fat quarters available for smaller projects. 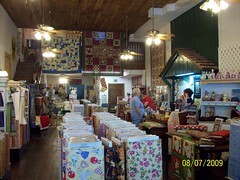 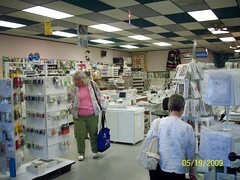 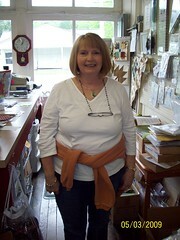 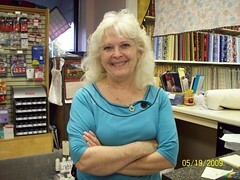 The store has 3 levels for your adventure through the shop, and the owner and other staff are very friendly and helpful. 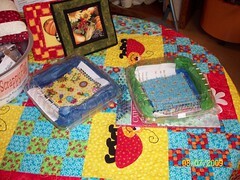 I’ve promised myself that I will not buy any more projects or kits until I finish everything that I have bought already (I still have projects from my Las Vegas Shop Hop that I haven’t even started on yet! 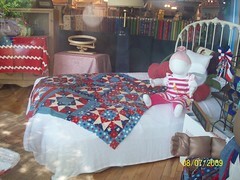 ), I didn’t purchase anything in the store on this visit, but my mom bought the Scrappy Flag Pillow, and next to it on the table was a kit that I have as an idea in my head for some baby quilts that I will make when I am out of the Funky Frog fabric. 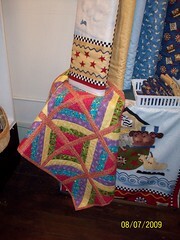 The kit is called I Spy, and it’s made from a mix of kid’s fabrics for kids to hunt and point out things that they find on the fabrics in the quilt. 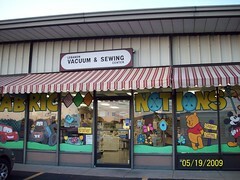 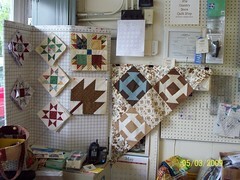 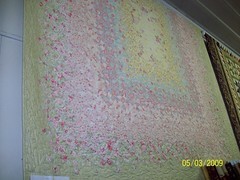 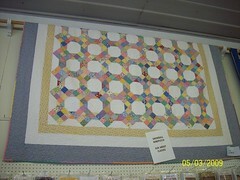 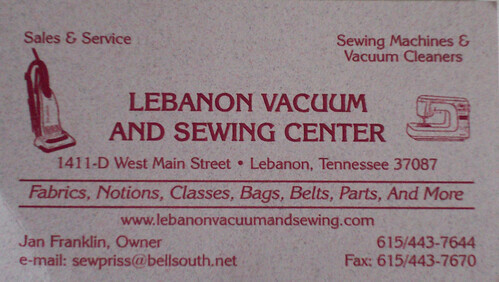 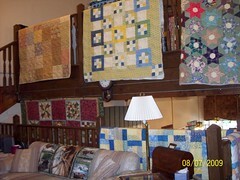 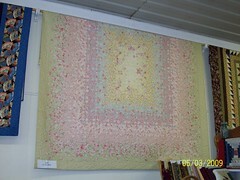 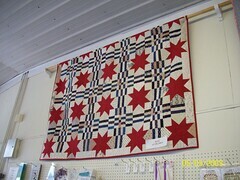 The Lebanon Vacuum & Sewing Center is home of the Quilt-A-Holics Quilt Club that I joined last month. 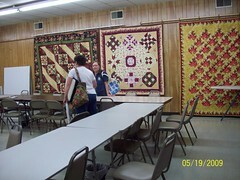 At the meetings, members share ideas and have a chance to show off their projects. 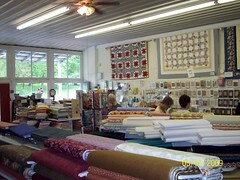 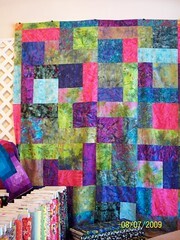 Membership is for all stages of quilters, whether you’re a beginner or a pro. 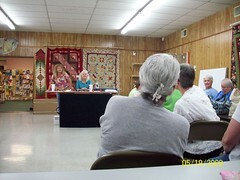 The club meets the 3rd Tuesday of every month at 6:30 pm. 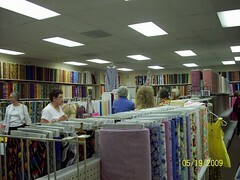 The store offers many selections of fabrics (the website says over 6000 bolts), which means there’s something for everyone. 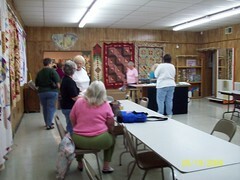 They also offer classes during the week, but I wish more were on Fridays and Saturdays so that I could participate. 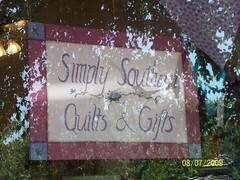 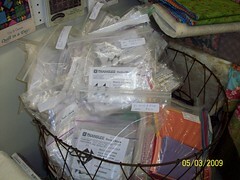 The website has a link to their newsletter with all the classes and store specials.